This statement is intended to confirm and record Viacom's strong stance against slavery and human trafficking. 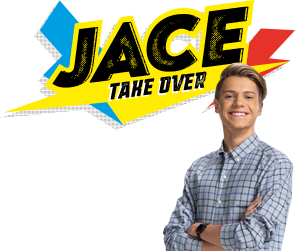 It has been approved by the board of each of Viacom Camden Lock Limited, Paramount British Pictures Limited, Nickelodeon Huggings U.K. Limited, Nickelodeon UK Holdings LLC and MTV Networks Europe on behalf of itself and its subsidiaries that carry on business in the UK for the financial year ending 30 September 2016. Viacom strives to maintain throughout its global operations the highest standards of business ethics, and is committed to legal compliance and ethical business practices in all of its operations worldwide. Viacom recognises that modern slavery may exist to a greater or lesser extent in most, if not all, countries and in most industries. Given the number of countries in which Viacom operates, we are aware of the need to address the risk of modern slavery arising in our supply chains. This statement sets out the steps we are taking in this regard (and is intended to meet the requirements of the UK's Modern Slavery Act 2015). Viacom's core business is in the production and distribution of media content, including film and television. For this reason, our business and that of most of our suppliers operate in areas where the roles being performed are largely technical and/or professional, and the risk of modern slavery and human trafficking is low. Viacom nonetheless takes a zero tolerance approach to slavery and human trafficking. We are not aware of, nor do we have any information to suggest that, any inappropriate labour conditions are present in our supply chains. We apply strict and consistent standards when dealing with suppliers around the world. To ensure that all of our suppliers adopt the same high values as we do, Viacom has in place a compliance programme consisting of a Supplier Compliance Policy. Under the provisions of the Policy our suppliers must adhere to the same high standards that Viacom sets itself in relation to fair and ethical employment practices. This includes practices relating to wages, hours, overtime and benefits, and health, safety and the environment and those combating improper discrimination and child and forced labour. In accordance with our zero tolerance approach to slavery and human trafficking, Viacom will immediately investigate any report or allegation involving wrongdoing of this nature and take remedial actions as appropriate.